all have the stories of the relatives who did crossword puzzles into their nineties, or were still running mara- thons in their later years. Bernard Osher, the man behind the Osher Foundation, took up piano at the age of 80 and skydived for his 88th birthday. He certainly practices what he preaches, and it is due in no small part to his endowment that OLLI@ UGA is able to operate today. Studies have shown that being cut off from the world (being lonely, rather than just being alone) can be detrimental to mental and physical health. 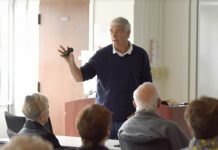 OLLI@UGA answers the social, cultural, and intellectual needs of Boomers through a combination of courses, Shared Interest Groups, travel, and social events. There is al- ways something to do, new friends to make, and new interests and hobbies to discover – in some cases interests you never even knew you had. 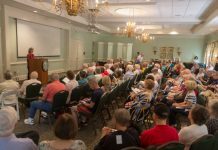 Last month, our Memoir Writing SIG, put on an event at Athens Central Library, where members were able to tell their stories and explore lessons learned through their various experiences. Being able to share our stories and journeys is part of being a community. We all have those family stories that are told to death at reunions and vacations. 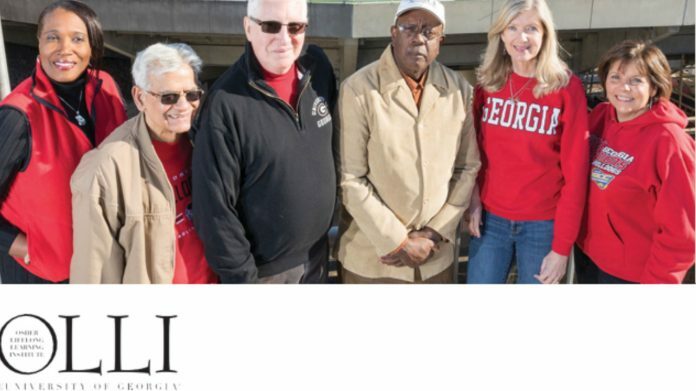 But, even though it feels that we are constantly repeating ourselves, sharing those stories brings all of us together with shared experiences OLLI@UGA seeks to provide as large a range of courses as possible, for the interest, and edification of the members. We still have spaces in many of our classes and it is still not too late to sign up for membership for this semester. Check out our website for more information.